Logan’s Warning Vs. 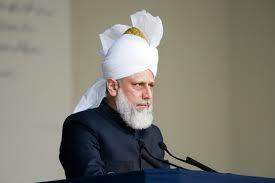 The Ahmadi Caliph Hazrat Mirza Masroor Ahmad! Ever since 911 Western policy has been to align itself with so called “moderate Muslims” in an effort to save us from the brutality of Islamic rule. One “sect of Islam” that many Westerners promote as being non-threatening is the Ahmadi community, which is lead by Caliph Hazrat Mirza Masroor Ahmad (UK). The problem with these so called “moderate” Muslims is that they are misleading the West on Islam. Even the Ahmadis. In fact they are currently on a social network campaign claiming they are against extremism. But when I ask them if the Koran’s call for crucifixions and lashings are acts of extremism I get no response. When I ask them to condemn the verses that sanction those actions, I get no response. Try it for yourself. Look for the hashtag #Muslimsforpeace. 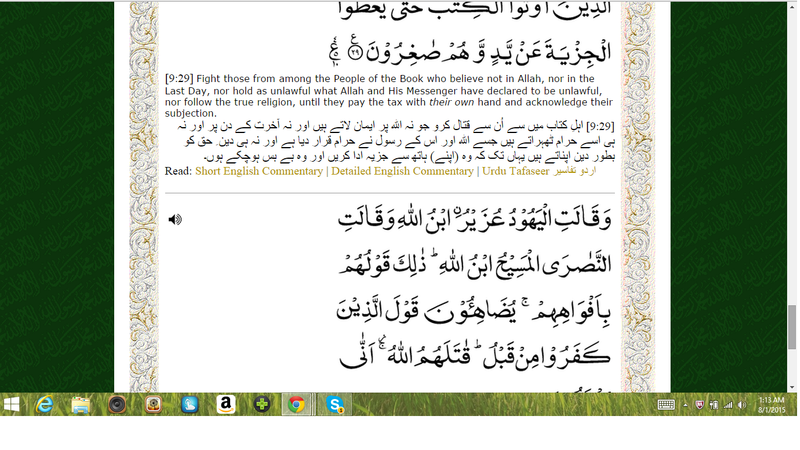 Lashings: Koran 24:3 on Ahmadi site. 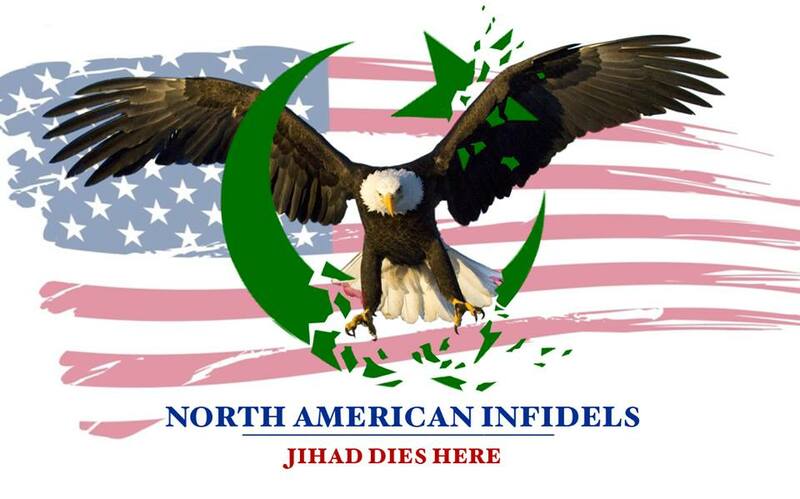 Now if you have followed my work for awhile you know that I take great pride in exposing the Islamocon’s being perpetrated by the liars for Allah on the social networks. But today is a bit different than talking to your average Mo. 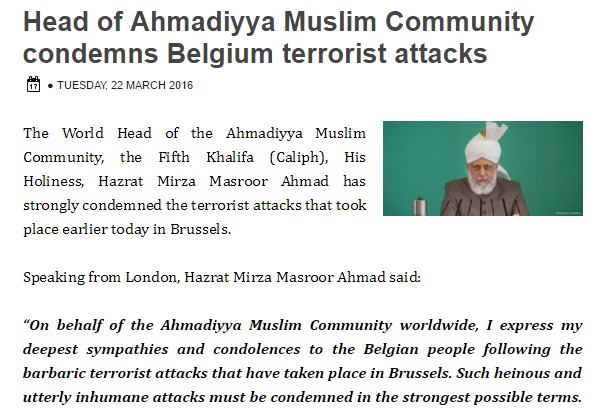 Today I am going to expose the Islamocon that the Caliph of the Ahmadi community released to the public in regards to the recent Brussels Bombings. That sure does sound nice, but now the con starts. Islam does not permit terrorism? So crucifixions and lashings are not acts of terrorism? Of course he does not define the term “innocent people”. That is because non-Muslims are not considered innocent under Islam. Is the Caliph having some kind of memory loss? Finally, he uses one of the oldest Islamocons in the book. 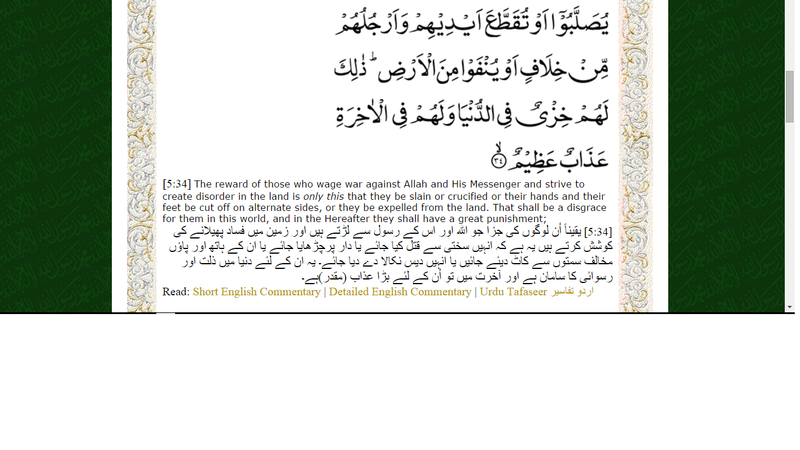 The misquotation of verse 5:33 (5:32 on most sites). Notice how he fails to mention the two most important parts of the verse. 1.That the verse was prescribed for the children of Israel, and they ain’t Muslims! Policies are designed to bring in positive results. So I ask, where in the West are so called “moderates” saving us from Islamic rule? In America, Belgium, Denmark, France, Germany, the UK? Isn’t it time we face the reality that this policy has been nothing more than a slow suicide? The problem is that NO ONE IS INNOCENT! if you do not follow islam you are not innocent. Muslims do not like when they are asked to define “innocent”.